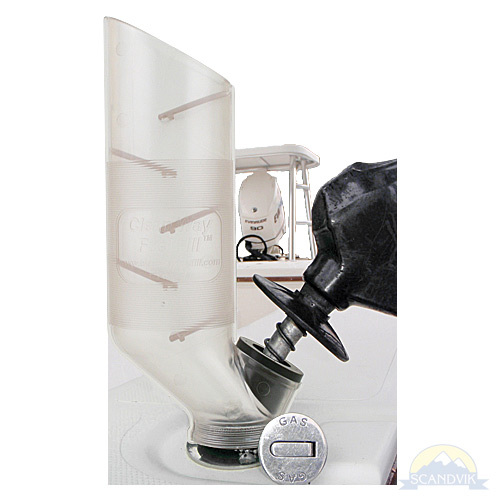 Clean Way Fuel Fill™ is the answer to every concerned boater’s question...how do I stop fuel from splashing me, my boat and the water when fueling? 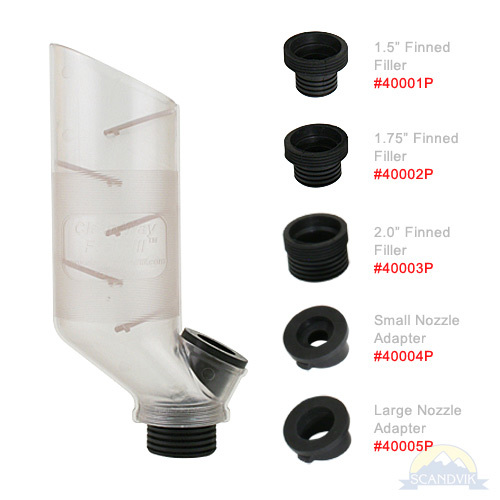 Manufactured with a series of baffles, the fuel simply returns to the fill when the nozzle shuts off. The kit includes a Clean Way, 3 rubber deck fill adaptors and 2 nozzle adaptors. Works with Standard and High Speed Gas or Diesel Pumps!